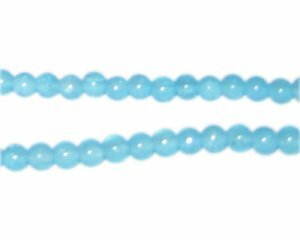 These are 6mm Light Larimar-Style Glass Beads, approx. 75 beads on a 16" string. Very happy with my beads!! !